Blockchain is hailed by fervent advocates as a path to a fairer, more democratic world that disrupts the unelected power and influence wielded by multinational companies and financial institutions. With public Blockchain networks, power and ownership is distributed and open to all. The network replaces the reliance on trust – key to traditional transactions – with a reliance on mathematical protocols and economic incentives that keep actors in the network active and honest. As an open-source platform, Blockchain is owned by no-one and organisations and individuals across the globe are scrambling to develop the technology to find new ways to transact in business, government and education that may lead to more transparency, security and privacy for citizens of this promised new world order. Blockchain is a ledger that holds transaction data. The ledger data is replicated across multiple nodes in the network – there is no centralised master copy. Each node holds a copy of the transaction data that anyone can access and verify. Every ten minutes the most recent transactions are bundled into a block hence the name Blockchain. Each block contains a reference to the previous block chaining the blocks together to create a permanent secure record of all verified transactions. The transactions in a block are verified by peers on the network, known as miners, who validate the block by solving a mathematical puzzle. Once miners validate each block, they receive a financial incentive and can create a new block, building the eternal chain of transactions one block at a time. What is a trustless network? When you make a payment traditionally, you rely on your bank to record the transaction in their private ledger accurately and amend the resulting balance of your account. With trustless Blockchain technology, you can transact with a third party directly and securely even if they are anonymous – you do not need to trust them. This security with anonymity is one reason Bitcoin has been accused of facilitating shadowy transactions on the dark web. The distributed nature of Blockchain means that everyone in the network has a copy of the ledger and anyone can verify the data stored in the Blockchain. Cryptology protocols assure consensus and the resulting security and integrity of the ledger. Proof of Work is a protocol where volunteers on a Blockchain network, known as miners, are incentivised to solve a mathematical problem that verifies the transactions in a block. This protocol manages consensus between nodes on the network and checks that transactions are legitimate before they are committed to the Blockchain. Cryptology negates the requirement for a centralised third party that we trust to verify the transaction. Once verified, transactions are stored in the Blockchain. It takes a lot of time and computer power to solve the mathematical problem creating a disincentive for attackers because powering an attack would cost more than the ill-gotten gains are worth. This ensures Blockchain is secure but also means Blockchain consumes a lot of energy. According to some estimates, the energy expended by Bitcoin mining may already exceed the entire energy consumption of some developed nations such as Ireland. Blockchain became a familiar term as the ledger that underpins the Bitcoin network. Bitcoin is the famous, or infamous, digital cryptocurrency that cuts out financial institutions by allowing peer-to-peer transactions. Often portrayed in the news as a volatile ‘get-rich-quick’ scheme, the Bitcoin project began as an open-source project influenced by the social impact of the financial crash in 2008. The Bitcoin network was deliberately designed to function without a central regulatory authority. Instead, the network relies on consensus to regulate the currency. Instead of a financial authority verifying each transaction centrally, network nodes validate transactions by consensus before transactions are stored in the Blockchain. For this ‘trustless’ distributed system to work, transactions recorded in the ledger can never be reversed – each and every transaction is immutable. Data is written to the Blockchain only by consensus and, once written, it can never be changed – it’s eternally immutable. You can only append data to the existing data – you can never change what has already been written to the Blockchain. The way that Blockchain works means that transactions are tamper-proof, transparent and immutable. This has led to many organisations looking for ways to use Blockchain technology to develop secure, consensus-led solutions to other problems across multiple domains. 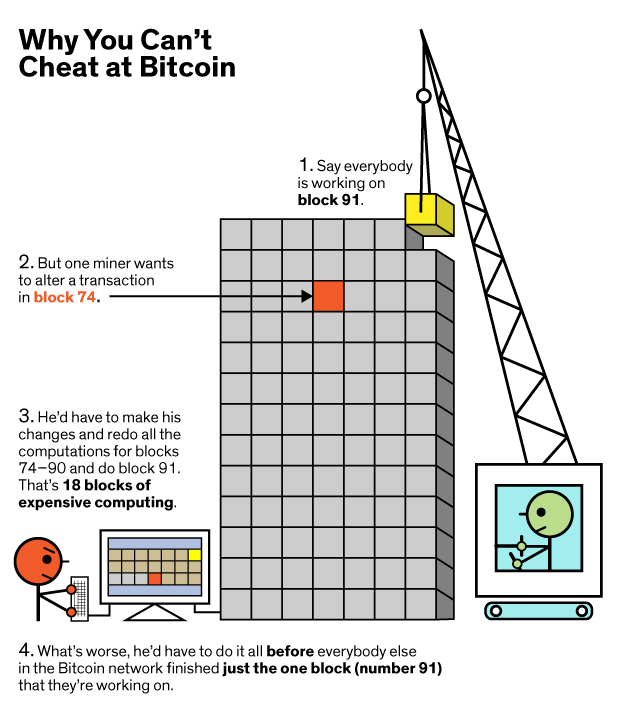 Mark Montgomery's illustration below from the IEEE shows how attackers are disincentivised to attempt to tamper with the Blockchain. Blockchain began as a public Blockchain underpinning Bitcoin. It has now evolved to support both public and private Blockchains. Public Blockchains allow anyone to run a node and participate in the consensus process. They can transact directly on the Blockchain within the network. No third parties can impose conditions for access. Bitcoin and Ethereum are examples of public Blockchains. 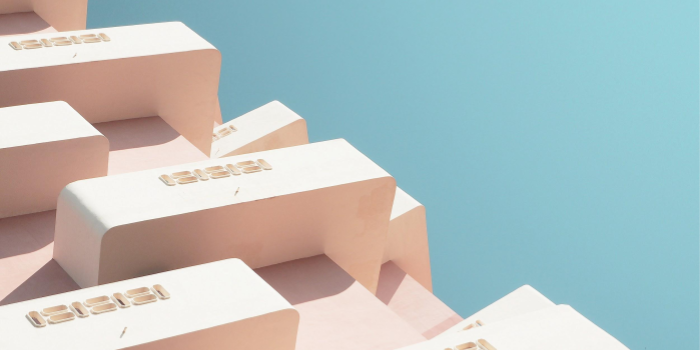 With a permissioned or private Blockchain, a centralised authority determines who has access to run a node and participate in the consensus process. With the introduction of a centralised authority, some in the Blockchain community argue that permissioned Blockchains should be described simply as shared ledgers. Ripple Labs, the organization behind the XRP currency has implemented a permissioned Blockchain. 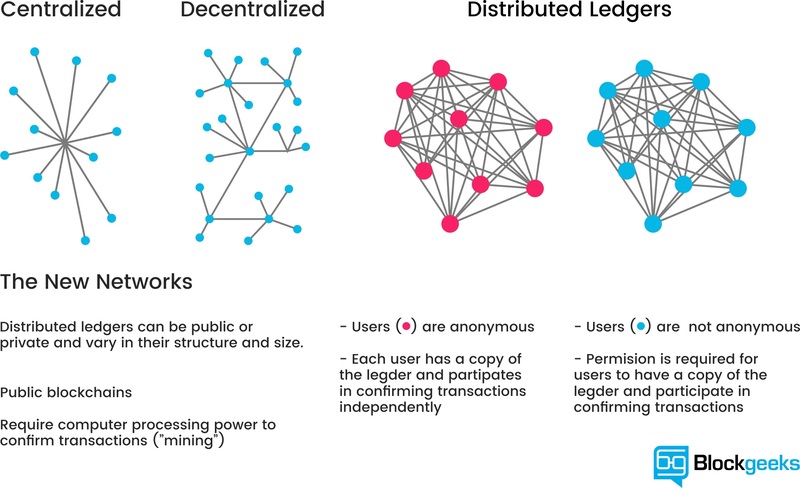 The image below from Blockgeeks illustrates the distributed network that lies at the heart of Blockchain technology. Does Blockchain matter for EdTech? Anywhere transactions occur between parties is a target for disruptive applications based on Blockchain technology. This includes educational institutions that hold records about students. Traditionally, students have relied on educational institutions to manage data about their learning achievements. These transactions are centralised and create a lifelong administrative burden for institutions to administer, and students to access. If you’re applying for a new postgraduate degree, you have to contact each institution where you’ve completed previous qualifications and request a separate transcript for each qualification often at a cost of up to €20 each. Blockchain technology could transform these processes by distributing a student's record across the network. The student's data becomes accessible, transparent, verified and secure without the need for continuing intervention by a third-party educational institution. How and when people experience learning has changed dramatically in the last two decades. Learning takes place in a variety of contexts including negotiated and modularised learning with traditional institutions, executive education short courses, blended learning, digital and mobile learning, and digital certification on completion from a host of providers across the globe. Distributed ledger technology promises transparent, secure applications that can be accessed by students, employees and employers to verify educational records independent of provider or location. Accreditation records is just one application of Blockchain in education. More possible applications related to education and learning are appearing as the intensity of Blockchain development accelerates. The illustration below from Open Blockchain demonstrates how Blockchain technology could empower students to access and control their own educational data on e-portfolios, feedback and accreditation. Should my organisation invest in Blockchain? With all the hype about Blockchain, it can be difficult to know if Blockchain is a good solution for your organisation. You also have to decide whether a public or private Blockchain will work best for the problem you want to solve. 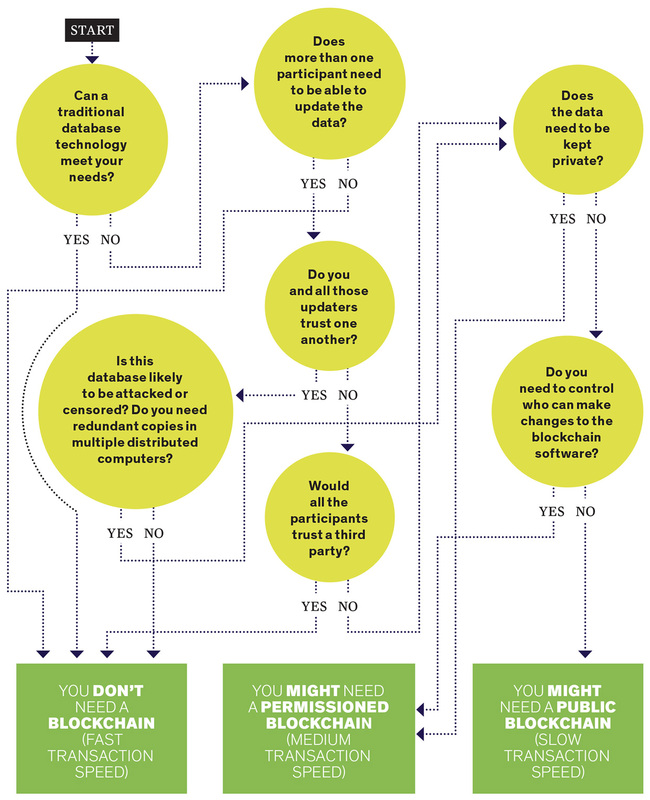 To help you decide, you can reference the Institute of Electrical and Electronics Engineers (IEEE) decision tree 'Do you need a Blockchain?' below. Find out how Learnovate's R&D team can help you explore Blockchain technology in your organisation: talk to Tom at tom.pollock@learnovatecentre.org or +353 1 896 4910. Learnovate has published a report investigating the use of Blockchain technologies in EdTech with a use case applying consent management with Blockchain. The report explores Blockchain and investigates three of the most prominent platforms developed using Blockchain: Bitcoin, Ethereum and Ripple. The report provides a high-level proposal to implement consent management using Blockchain technology.